Tyson is a cautious boy who takes his time to get used to new situations. Once he is comfortable, Tyson is curious and friendly–he can also be a bit vocal, especially if he knows you have a treat for him! Tyson would be best placed in a quiet home without dogs or small children. While he is OK with other cats, Tyson would probably prefer to be an only pet. 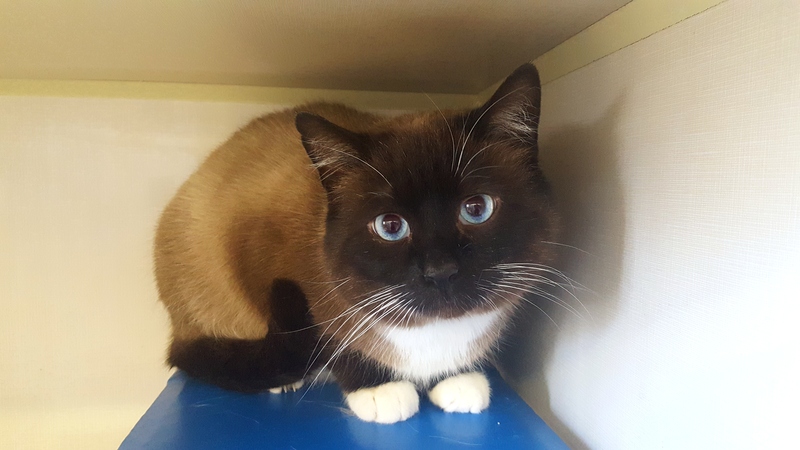 If you would like to meet this beautiful boy, you can visit him during regular store hours at our adoption centre at 38 Barberry Road.